This study aims to check the phonetic adaptation of patients with fixed denture constructions using auditory analyzer software. Spectrograms and sonograms of patients before the orthopedic treatment were used as a research material. The further analysis was performed on with the help of auditory analyzer software Steinberg Wavelab V5.01b and Algorithmix renovator 2.1. Acoustic analysis of spectrograms and sonograms carried out using computer technologies can help dentists and orthopedists with planning and carrying out the orthopedic treatment, and to avoid occurrence of possible complications. It considerably improves orthopedic treatment of defects in the anterior part of the upper front teeth. Bizyaev AA, Konnov VV, Lepilin AV, Maslennikov DN, Bizyaeva ND. Modern methods of control over phonetic adaptation of patients to orthopedic constructions of dentures. Russian Open Medical Journal 2012; 1: 0310. Teeth loss is influenced by various factors: complicated caries, trauma, severe periodontitis, an abscessed tooth extraction (periostitis, osteomyelitis), etc. However, there is only one result –dentition defect formation. Problems that occur during such defects treatment depend on the reason that caused the loss of teeth, the time that has passed since they had been removed, a patient's age and other features of an organism . Well-known methods of prostheses, which can influence phonetic quality, are devoted to improving speech sounds pronunciation using removable dentures [2, 3]. In medical literature we could not find enough informative methods and quality assessment criteria of fixed dentures. Today, however, more and more attention is paid to the quality of dental aid improving [4–6]. The research aimed studying of an efficiency increase of the phonetic adaptation of patients to fixed dentures. Patients’ satisfaction of prostheses and their adaptation to them have a complex, multifactorial nature, where psychological aspects play a significant role as the workmanship of the prostheses . As it seems to many patients, the teeth loss is the first sign of a premature senility, so, they take it hard. Sometimes it can be less disturbing than many other events that affect our lives (change of work, retirement, move, etc.). Emotionally labile patients are especially supersensitive to teeth loss. These people face a number of problems caused by the psychological impact of teeth loss, causing a change of appearance, speech disorders [8, 9]. It is impossible to formulate strict scientific rules of false teeth constructing. There are various factors described in medical literature which are necessary to ensure the harmony of teeth, mouth, and a human face. This includes a correct lip support, appropriate color and shape of teeth and their cutting edges, imitation of fillings in lateral teeth, the shape of the interdental papillae, etc. It is known that the denture is perceived by a patient as a foreign body. Time for adaptation depends on many factors: the construction of prostheses, retention on a jaw, presence or absence of pain, the time that has passed since the teeth loss to repair, nature of masticating pressure transmission through mucous membrane receptors or periodontal. Averages of morphometric indications of the height and width parameters of the palatal vault are different in people with phonetically correct and uncomplicated sound production and in people with poor sound production or inarticulate pronunciation. This difference is most pronounced in the anterior area of the palatal vault. These two parameters matter for sound production: 1) the palatal laminates angulation of front teeth of the upper jaw related to the occlusal plane; 2) the anterior wall angulation of the palatal vault in relation to the occlusal plane. At phonetically favorable conditions in the mouth the first indicator is 45.5±10.0°, and the second one is 40.0±10.0°. The smaller the difference of these angles is the better the conditions for the formation of speech sounds in the mouth. The most favorable conditions for sound formation in the oral cavity are observed in proportionally developed palatal vault, where its configuration is sagittal, sloping and slightly domed. To restore articulation and phonetic function in the manufacture of dental prostheses different methods are used: acoustic, graphic, spectrographic, somatic. The simplest method is palatography. Studying of vowels articulation of with the help of palatography with removable dental prostheses made it possible to identify a number of pronunciation defects, which is associated with the prosthesis construction. The greatest interest is the palatography data about articulation of consonants which can be used for phonetic correction of prostheses. A variety of approaches and methods to study the articulation mechanism and phonetic features of different languages have led to different recommendations in control of a phonetic adaptation to dental prostheses. Along with the auditive analysis there electroacoustic methods of speech analysis are used (oscillographic and spectroscopic methods), which are recommended for linguistic researches. However, these methods are not widely used in a prosthetic dentistry because of a cumbersome equipment and too expensive process of getting the data. The data of the spectral analysis of phonograms in patients with defects of the upper jaw teeth have revealed acoustic abnormalities and let to evaluate them quantitatively in a process of prosthetic producing . Modern methods of objective studies of a speech quality are based on computer technologies, and allow us to represent the characteristics of the speech apparatus and articulation by a diagram at different stages of the prosthesis. This makes it possible to evaluate objectively the quality of the patient's speech and correct the construction of the prosthesis at various stages of the treatment. Computer technologies and methods of vocal speech studying are widely used in forensics to identify the speaker's voice and speech characteristics [4, 10]. Of course, in the future the usage of computer technologies in the manufacture of dental prostheses of various designs would increase applications, especially in people whose speech and articulation is the key element of professional activity. A sonographic and spectrographic analysis of the patients’ speech has been used in order to evaluate objectively the quality of phonetic adaptation to prosthetic bridges. Further analysis was organized on a computer with specialized auditory analyzer software Steinberg Wavelab V5.01b and Algorithmix renovator 2.1. Depending on the palatal laminates angulation of the upper front teeth and the angle of the middle third of the palatal vault, the nature of the defective pronunciation of speech sounds had been changing. In retrusion of the upper front teeth, where the cutting edge can touch the inside of the lower lip low enough, there are some additional sounds and bonds like German [pf] (affrication). We can hear it clearly in the spectrogram of the word "flange" (rus. [´flan’ets]) pronounced by a patient wearing a clinically manufactured prosthetic. This overtone is in a range from 3 to 10 kHz, which is perceived by an ear as the German [pf]. Analogical conditions are the reason of the vowel overtone (Figure 1) in passing from the dorsal [t, d] to non-dorsal [dyvor] instead of [dvor] and [tyros] instead of [tros], etc. Figure 1. Spectrogram of the word "length" (rus. [dlin’a]), pronounced by the patient with prosthetic bridges manufactured in a clinic. To compare: Figure 2 shows a spectrogram of the word "length" (rus. [dlina’]) was pronounced by the same patient after manufacturing of the optimal for him prosthetic bridges. The patients whose palatal surface angulation of the prosthesis was significantly less than the angle of the middle third of the anterior part of the palatal arch (up to 15°), had the following disorders. Because of the protrusion of the upper front teeth the flat pronunciation of [z, s] has been fixed, which is perceived like lisping. Figure 2. Spectrogram of the word "length" (rus. [dlin¢a]), pronounced by an announcer with the optimally designed bridge. 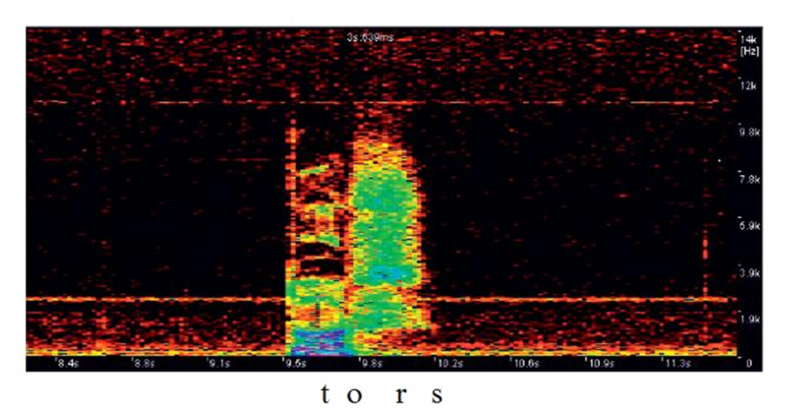 Figure 3 shows the spectrogram of the word "torso" (rus. [t’ors]), pronounced by the patient with the prosthetic bridge constructed in the clinic. It is evident that the sound [s] is in the range between 0.5 and 10 kHz, which is more typical of the sound [ʃ]. Figure 3. Spectrogram of the word "torso" (rus. [t¢ors]), pronounced by the patient with dental bridges manufactured in a clinic. The defect was corrected after the orthopedic treatment. The spectrogram in the Figure 4 shows a narrowing of the sound [s] spectrum and a shift to higher frequencies, which corresponds to pronunciation norms. Figure 4. Spectrogram of the word "torso" (rus. [t¢ors]), pronounced by the same patient with the optimally designed dental bridges. The researching of the functional adaptation of the vocal apparatus in prosthetics of the upper teeth defects in the anterior part has not been studied enough. At the same time, patients' complaints on speech function disorders in prosthetics of the upper front teeth are not uncommon and, according to our research, they make up about 12%. Even such a low rate is the cause of a conflict between a doctor and a patient. Resolving of such conflict situations is rather long and complicated process, and it forms a group of so-called "difficult patients". These patients have a lot of complaints which take the doctor much time to manage it. To prevent such a conflict there should be more careful planning of the orthopedic treatment, always remember about the psychological preparation of the patient, assess his or her mental and functional status correctly. So, the data of instrumental acoustic analysis using specialized auditory analyzer software confirm the significant improvement in the pronunciation of the sounds of speech related to the place of its formation in the anterior part of the upper front teeth. These instrumental acoustic analysis and spectrograms sonograms with the usage of computer technologies can help dentists and orthopedists with the planning of the orthopedic treatment and to avoid possible complications. This will increase greatly the effectiveness of the orthopedic treatment of the upper front teeth defects in the anterior part. 1. Agapov VV. Samootsenka kachestva rechi bolnymi s priobretyonnymi defektami verkhnei chelusti [The speech quality self-esteem by patients themselves with acquired defects of the upper jaw]. In: Ortopedicheskaya stomatologiya v XXI veke. Moscow, Russia, 2002: 122-123 [Text in Russian]. 2. Adilkhanyan VA. Tekhnika izgotovleniya pryamykh vremennukh restavratsii [Technique of straight provisional restorations manufacturing]. Novoye v stomatologii 2008; (4): 25-28 [Article in Russian]. 3. Bizyayev AA, Googe LA, Konnov VV. Dental replacement in patients without upper front teeth carried out with the angle of palatal vault inclination taken into account. Russian Journal of Stomatology 2008; (1): 24-25 [Article in Russian]. 4. Kibkalo AP, Myagkov UV. Morfologiya i funktsionalnaya obuslovlennost yazychnoi poverkhnosti verkhnikh reztsov [Morphology and functional dependence of lingual surface of upper incisals]. Panorama ortopedicheskoi stomatologii 2001; (2): 11-12 [Article in Russian]. 5. Larionov VM. Foneticheskaya adaptatsiya k mostovidnym protezam pri protezirovanii perednego otdela verkhnei chelusty [Phonetic adaptation to prosthetic bridges in repairing of the anterior part of the upper jaw]. Russian Journal of Stomatology 2004; (6): 24-26 [Article in Russian]. 6. Lutskaya IK, Novak NV. Restavratsiya frontalnykh zubov s korrektsiyei rezhushchego kraya [Front teeth restoration and incisal edge correction]. Institut stomatologii 2008; (3): 48-52 [Article in Russian]. 7. Czappa B, Hein A. Yestestvenniye proportsii [Natural proportions]. Novoye v stomatologii 2008; (7): 25-28 [Article in Russian]. 8. Bizyayev AA, Konnov VV, Muzurova LV, Solovieva MV, Batusov NA. Causes of speech dysfunction according to bridge prosthesis of upper front teeth. Saratov Journal of Medical Scientific Research 2010; 6(1): 134-136 [Article in Russian]. 9. Galyashina EI. Sudebnaya fonoscopicheskaya ekspertiza [Forensic phonoscopic examination]. Meditsina Publ., Moscow, Russia, 2002 [Text in Russian]. 10. Walton TR. An up to 15-year study of 515 metal-ceramic fixed partial dentures: Part 2. Outcome. International Journal of Prosthodontics 2003; 15(5): 439–445 (PMID: 12375457). N.D. Bizyaeva — Student, Department of Pedagogics and Elementary Education System, Moscow Pedagogical University, Moscow, Russia. Original Text in Russian © Bizyaev AA, Konnov VV, Lepilin AV, Maslennikov DN, Bizyaeva ND, 2011, published in Saratov Journal of Medical Scientific Research 2011; 7(2): 474–477. Bizyaev, Alexey A. - Bizyaeva, N.D. - Konnov, V.V. - Lepilin, A.V. - Maslennikov, D.N.